Acclaimed Greek conductor Teodor Currentzis receiving his award at the Golden Mask ceremony last Saturday. The Golden Mask Festival has come and gone for the 21st time. It is now an adult by anyone's standards. The Mask, as people often call it, is a big festival, doing what it can to represent an enormous country with a rich theater tradition. It reportedly has a budget of 200 million rubles (nearly $4 million). Every year it consumes most of March and April presenting Russian theater to Moscow and the world. It organizes festivals and tours showing top productions across Russia and abroad. In an era when Russia frequently finds itself at odds with the West politically and culturally, the Golden Mask reveals a picture of a different Russia. That was made clear when Russia's controversial culture minister Vladimir Medinsky appeared at last week's award ceremony. A leader of Russia's ideological turn away from Europe, and the force behind the scandalous closing of a production of "TannhКuser" in Novosibirsk, Medinsky's speech was interrupted by a shout of "Bring back 'TannhКuser'!" followed by a tumultuous, prolonged ovation. The minister's neoconservative tendencies are not shared by many in the theater community. 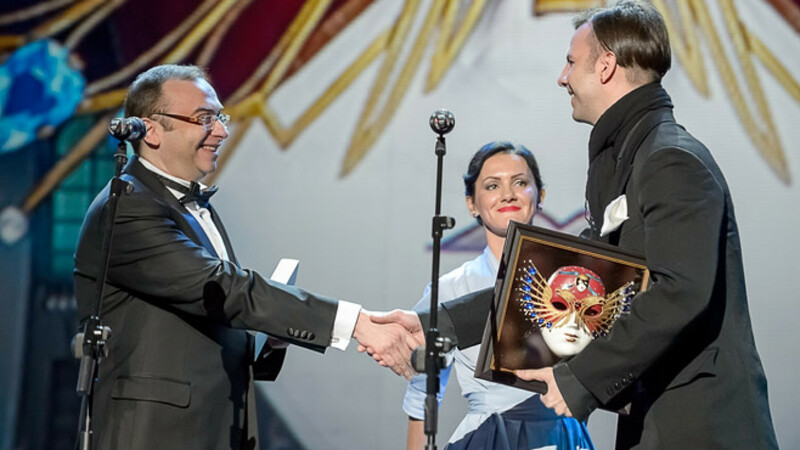 In fact, Russian theater strives to be a part of the greater world and it is no longer a surprise for coveted Golden Mask awards to go to foreign artists. 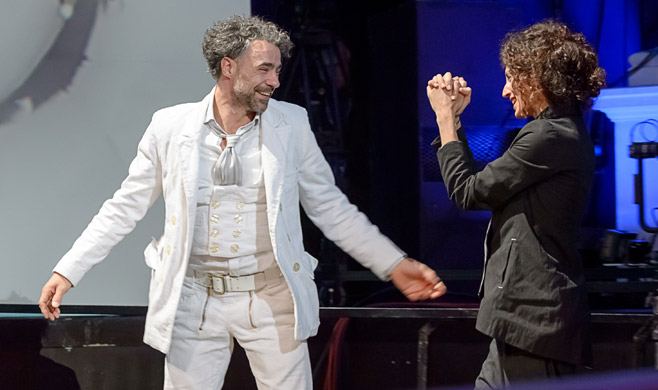 On Saturday the American director Peter Sellars, the Greek conductor Teodor Currentzis and the Swiss-born Italian actor-director Giuliano de Capua were all recognized for outstanding work. Still, any organization like the Golden Mask Festival will have detractors. There are complaints that the same individuals with the same tastes make similar decisions every year about what will be showcased and what will be ignored. There are questions about finances. There are questions about the organization being a monopoly. These arguments burst forth in a flurry of Internet altercations between journalists and theater insiders as this year's festival ended. The verbal fisticuffs grew nasty, as festival defenders employed tactics of character assassination against opponents, while the latter seemed intent on rejecting the Golden Mask entirely for sins they believe it has committed. The arguments are not new and might not be worthy of special attention were it not for one thing. 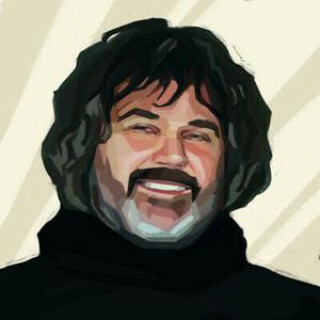 Swiss-born, St. Petersburg-based Giuliano di Capua won his award for best small-scale dramatic production. Their animosity is markedly more vicious than before and it stands as yet another marker of the way public discourse is disintegrating these days. The norm is to dismiss opponents' integrity, to say nothing of their point of view. Many of those defending the Golden Mask have shown themselves to be politically and culturally liberal, supporting "TannhКuser," for instance, and openly opposing Russian actions in Ukraine. Yet the instant someone questions the Golden Mask, they strike out, at worst, reminding one of the so-called "Crimea-is-ours" nationalists. All that is missing is the slogan "Mask is ours!" Is it really possible that the Golden Mask can't withstand a few hard questions? Is it so perfect that anyone questioning perceived weak spots must be branded an enemy? That sounds rather totalitarian to me. Surely a little debate and exchange of ideas can only work to the festival's advantage. For the record, I have not seen festival representatives respond to the tea cup-sized tempest. Having followed this festival since its inception, I have had my share of questions. There is little rotation in the personnel making major decisions. This gives the organization blind spots. Is it really proper that the festival's general director Maria Revyakina is also the managing director of the Theater of Nations, whose productions are routinely nominated for awards, and whose stages the festival uses for some performances? Before I am burned at the stake for posing such questions, allow me to say that Revyakina's tenure at the Golden Mask has turned it into Russia's most recognizable, progressive and multifaceted theatrical event. Like no other, this festival allows us in a few days' time to acquaint ourselves with work it would take months and bushels of money to see on our own. It has, over the years, been one of the first organizations to recognize the maturation of such major talents as Yury Butusov, Mindaugas Karbauskis, Dmitry Volkostrelov, Marat Gatsalov, and Yury Muravitsky. Its awards provided official legitimacy for the daring Teatr.doc, something that could not be ignored when the city made efforts to close that theater down last year. In short, if the Golden Mask is not perfect, let's talk about it openly. In a civilized manner. And in the meantime: Happy 21st, Golden Mask. I can't imagine Russian theater without you.